In all my years doing this stuff, I’ve never really properly addressed the suitability of cashews. Today that ends. Cashews are the seeds of the cashew apple, a delicacy of Brazil, and the interior of their shells are lined with a poisonous resin called cashew balm. Cashew balm is used in insecticides, so don’t go shelling your own cashews. So what’s the deal? Are they good to go, as long as you avoid the balm? The cashew is high in monounsaturated fat (7.6 g per ounce) and, while it contains a decent amount of omega-6s (2.2 g per ounce), it’s lower in polyunsaturated fats than Primal favorites like almonds (3.5 g per ounce). The cashew is, however, one of the richest sources of phytic acid in the nut and seed world, containing more phytate than almonds, hazelnuts, walnuts, and chestnuts. For that reason, I consider it helpful (and perhaps paramount) to soak your raw cashews before consuming them – especially if you’re trying to get over tooth decay or combat osteoporosis. 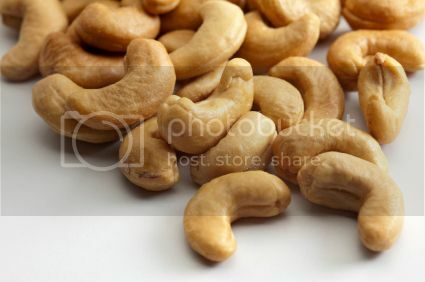 The big problem I see with cashews is the tendency of folks to gorge on the little guys. It’s just something about a roasted, salted, buttery cashew that promotes overeating. Be wary of that. Verdict: Primal. Whatever you do, just don’t put the balm on! This is a perplexing one. On the one hand, it’s wheat. We hate wheat. Wheat is anything but Primal. On the other hand, it’s grass, and aren’t we Primals always going on and on about the benefits of grass-feeding? So what’s the deal? Wheat starts out as a “grass,” technically, and wheatgrass juice is derived from cotyledons of the common wheat plant. The cotyledon of a grass is the part of the seed that becomes the first leaves to sprout upon germination. After a chemist found that feeding his ailing chickens fresh wheatgrass improved their health and increased their egg output, the wheatgrass craze was ignited. I’m not sure I follow. I’m all for fresh wheatgrass for chickens – heck, I’d even juice it for them if it meant more eggs – but I fail to see the relevance to human diets. Is there nutrition in wheatgrass? Sure. Is it accessible to humans if we pulverize the cellulose and extract the juices? Probably. But just check out the Wiki article, which has a table comparing the nutritional content of wheatgrass juice to spinach and broccoli. Spinach is clearly superior, almost across the board, with more magnesium, calcium, iron, potassium, and beta-carotene. Plus, it tastes better (read: not like lawn clippings) and is a lot less expensive. Is it gluten-free? Well, maybe. Since gluten is mostly found in the endosperm of a wheat grain, and wheatgrass is just the grass, not the seed (let alone the endosperm), it’s probably gluten-free. I wouldn’t recommend it to celiacs, but I doubt it’s a big issue here. Verdict: Could be Primal, but why? It’s probably great as ruminant feed. I’ve said my piece on soy before: it’s potentially phytoestrogenic, mildly carcinogenic, mineral-binding, and goitrogenic. Its oil is in everything nowadays, and most of our animals are a third soybean meal. Bad stuff all around. But that was about soy-based products and processed soy; what about fermented soy? What about miso, natto, and tempeh? We’re big fans of fermented foods in general around here, so it stands to reason that fermented soy might enjoy a slightly different reception. Let’s see. Fermentation makes the much-ballyhooed soy isoflavones biovailable to humans. Without fermentation, we can’t really make use of them. Traditionally-fermented tempeh has reduced levels of phytic acid. Fermented soy sauce displays increased levels of antioxidant compounds (and it seems to be totally free of soy and wheat allergens). And though you may not be aware of this fact, natto – the widely reviled sticky pungent fermented soybean – is the richest source of vitamin K2 (MK-7, as opposed to the MK-4 found in animal foods) in the food world. It’s also much lower in phytic acid than unprocessed soybeans. So, while soy is definitely not Primal, fermentation brings it a lot closer to the fold. Perhaps a longer post is worth writing. What do you think? Verdict: Not Primal, but pretty good (and far better than unfermented soy). Is vinegar Primal? Well, I have a post on “how to make red wine vinegar,” so it can’t be that bad, but let’s dig into it all the same. After all, you guys like details. The primary component of vinegar is acetic acid, a product of fermentation by acetic acid-making bacteria. Acetic acid is a corrosive agent that can cause permanent damage to eyes, skin, and (I’d imagine) various orifices. It’s even flammable. Wow. Sounds awful, right? In type 2 diabetics and people with insulin resistance, vinegar improves insulin sensitivity when taken with a high-carb meal. Eating potatoes with a little bit of vinegar reduces the postprandial blood sugar and insulin response. Both 15 and 30 mL (one or two tablespoons) of daily vinegar reduced body weight, waist circumference, triglycerides, and other symptoms of metabolic syndrome in obese Japanese subjects, absent any other interventions. Vinegar (albeit vinegar with higher levels of acetic acid) can act as an organic herbicide. As for distilled versus fermented vinegar (like cider vinegar), there may well be qualitative differences, but that’ll have to wait for a future post. Verdict: Primal. Acetic bacteria have been around longer than we have. I’ve never been very impressed with almond milk. It’s extremely watery and low in calories, which makes me feel like I’m wasting money on it. It doesn’t have much taste, unless you add sugar, in which case you’ve just added a bunch of sugar. It often contains dubious ingredients, like fortified vitamins and carrageenan. It’s very much a processed food. But is almond milk Primal? Sure, in theory. Grind up some almonds, mix with water, and strain them to produce a “milk” uses nothing but Primal ingredients and practices. There’s nothing overtly “wrong” with that. But there’s also nothing very exciting. I’d guess if you make it from scratch, there’s a good chance your milk contains a decent amount of the nutrients inherent to almonds, like magnesium, vitamin E, various phytochemicals, but there’s also a chance that a lot of it is retained in the solids. Personally, I’d just eat the almonds. It certainly isn’t Primal, seeing as how it’s pretty much just a bunch of mashed chickpeas, which are legumes. But good hummus, prepared with soaked, lightly fermented chickpeas, high quality extra-virgin olive oil, preserved lemon, tahini made from sprouted sesame seeds, pungent garlic, sea salt, and pepper? Skip the pita bread and opt for carrot sticks or celery slices (or just a spoon) and there are far worse ways to cheat. The problem is most hummus isn’t that good. It’s made with industrial oils, which are full of rancid omega-6 fats. It’s made with canned garbanzos, which are likely rich in BPA and full of phytic acid. It’s got stabilizers and preservatives and that, while perhaps not all “that bad,” make for a subpar, processed food. And if you’re going to cheat, I implore you to use the good stuff. If you’re willing to make your own hummus, soak your own garbanzos, preserve your own lemons, etc., then hummus won’t be too bad. It’ll be free of BPA, low in phytic acid, full of healthy, Primal ingredients like olive oil, lemon juice, garlic, and tahini, and it will taste pretty darn good. Extra points for fermented hummus. Verdict: Not Primal, but not all hummus is created equal. I already covered fructose-rich bee vomit in a previous post in which I deemed it a relatively safe(r) sweetener, but what about one of the lesser-known products of the apiary, royal jelly? Royal jelly is kinda like bee colostrum. When a queen is dead or dying, and the worker bees (don’t get any ideas, guys) need to make a new one, they select a few larvae and feed them royal jelly for the rest of their lives. The jelly (which workers secrete from glands located in their heads) is rich in nutrients and contains a special growth-promoting protein called royalactin (which turns larvae into queens by speeding up growth and ovary development). All larvae receive royal jelly for at least three days, but only the future queens get it indefinitely. Queens also live for as long as five years, while the workers live for perhaps a month. The only difference between a worker and a queen is that the queen gets royal jelly for life. Other than that, they’re genetically identical. But does royal jelly make sense as a food source for humans? Probably not, as a well-run hive can only make about half a kilo of royal jelly in six months. As a supplement? Maybe. As in bees, royal jelly can prolong the lives of other insects, like the fruitfly, via royalactin. I wonder if royalactin could do the same for vertebrates, too. It might be good for brain health. Oral royal jelly has been shown to stimulate the production of glial cell line-derived neurotrophic factor (GDNF), a promoter of neurogenesis, in rodents. And recently, it improved cognitive abilities in mice dosed with a potent neurotoxin designed to initiate neuron death. It might help with male infertility. In one study, vaginally applying a peri-coital mixture of royal jelly and honey improved the ability of men with lower sperm motility to impregnate their mates when compared to a control group. A recent study, however, found that royal jelly had an adverse effect on the reproductive function of male rats. And though it’s pretty rare, royal jelly can be a serious allergen for some people. Whatever you do, I’d be careful. Verdict: Primal, but it’s not snake oil and it isn’t innocuous. Make absolutely certain that you’re ready for this jelly (I had to do it). As recently seen on Dr. Oz, green coffee bean extract is touted as a powerful weight loss supplement. Though Mehmet casts a dubious shadow on the things he endorses, I thought I’d take a look into this one. I mean, coffee beans are known sources of antioxidants, so it isn’t out of the realm of possibility, but I’m only familiar with the roasted, brown kind of coffee bean. What’s the deal with green coffee beans (and their extract)? Coffee contains chlorogenic acids, organic compounds that have been shown to benefit glucose tolerance in humans. Green coffee bean extract (GCBE) also contains chlorogenic acids, and a recent study found that GCBE supplementation reduced body fat and resting heart rate in obese human subjects, though researchers weren’t sure whether the caffeine content of GCBE was partly responsible. Why not just drink coffee, you might be wondering? I’m actually wondering the same thing. As noted above, coffee also contains chlorogenic acids, caffeine, and can improve weight loss. Coffee also tastes phenomenal. I see little evidence that GCBE is doing anything that coffee is not. Verdict: Primal, but not nearly as delicious as real coffee. Tagged almond milk, cashews, fermented soy, green coffee bean extract, hummus, miso, natto, royal jelly, tempeh, vinegar, wheatgrass. Bookmark the permalink.